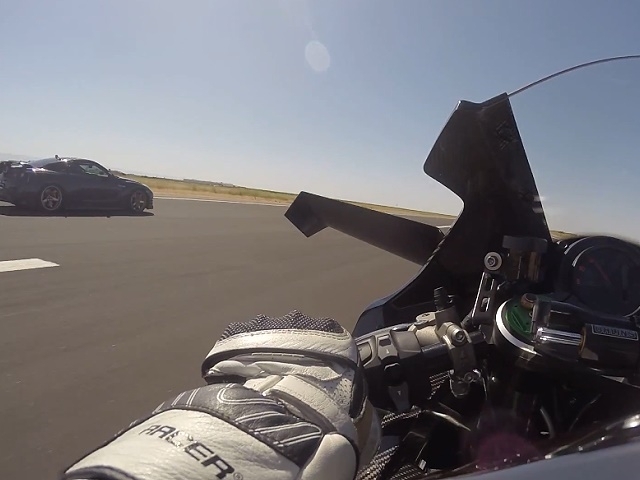 Kawasaki H2R vs McLaren MP4-12C Beschleunigung = Eindeutig! Nissan GTR vs Yamaha R1 vs Suzuki GSXR 1000 - Paff! World's Fastest Bike races 1350hp Nissan GT-R built by SP Engineering. First time the claimed 300hp supercharged Kawasaki H2R hyperbike has been used in America. Roll race with 50mph start speed.